We provide Emergency Locksmith services, fast and efficient. Our locksmiths arrives within 15-20 minutes and performing the job on site. Our specialty relies on our quick response. In the world of locks and keys, you need professional, reliable, and local locksmith..
LockTech24/7 locksmiths in Bethlehem can handle all your emergency locksmith needs. From unlocking car doors to cutting and programming new car keys. In addition to our quick lockout services, we are able to come in a short notice to repair an existing broken lock. If you experience an emergency locksmith needs in Bethlehem, you can stop searching and call us as soon as possible. An in order to serve your better, our locksmiths are already on the roads. When you call us, we give you a top quality of emergency and non-emergency locksmith services. Our security hardware better than what you get at the home center. Also the locksmith competitors in the Lehigh Valley, definitely have no match to LockTech24/7. We have the most exceptional emergency key and lock related tools and machinery. We use locks in many areas of our lives. You can see lock on almost every door or window. We use them to keep our properties and belongings safe and secured. When we go out, we use them to lock our home and business. As a matter of fact, we lock everything. We use locks on mailboxes, safes, furniture, lockers, and even bicycle. There is a high probability that there is something in almost every area of your life that has some type of lock on it. We believe that the best customer is a satisfied customer! To make you satisfied and to keep you as a customer with us for long time. We offer an excellent customer service which can be backed up by hundreds of positive reviews across the net. Let LockTech24/7 take the entire headache out of your emergency situation, with great service and unbeatable prices. One of our priorities is your time. With this intention, we offer 24 hour emergency locksmith services. If you concern about your security, and you require fast service, allow our technicians to provide you with a quick solution. With a unique design to protect your property, while using the latest machines and technology available in today’s market. Please call us for emergency service or contact us for an estimate. Automotive lock out incidents are the most popular and common emergency lockout services in the locksmith industry. When you lock yourself out of your car, SUV, or your semi-truck, please call us. If no other locksmith arrives on scene to help – You’ve come to the right place! LockTech24/7 offers complete automotive lockout services, 24 hours a day all over the Lehigh Valley, Pennsylvania, and surrounding areas. Call us now for immediate help, and fast response! Our automotive locksmiths will be at your location within 20 minutes. They can handle automotive lockouts of any car and model. You can count on LockTech24/7 to get you back on the road quick as possible, we are only one phone call away. Lost car key during sport activity in the nature is not a pleasant way to end your day. Especially, when it’s so cold in winter! LockTech24/7 locksmiths in Bethlehem, Pennsylvania, provide you with a 24hr emergency key cutting and transponder key programming. We are able to cut standard and high security car keys, as well as program transponder chip keys, as well as high security – laser cut keys. With this in mind, we can also program key-fobs. Our Locksmiths are the top car locksmiths in the Steel City of Bethlehem. We not only offer a top-notch of customer service, but also quality products, as well as a competitive price. Call LockTech24/7 for a quote for a key that fit your car and model. We are also able to repair or replace ignition locks. 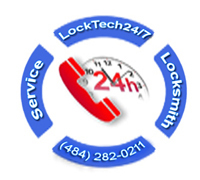 LockTech24/7 is the leading company in the locksmith industry of Bethlehem, Pennsylvania. Have you recently been locked out of house or apartment in Bethlehem, or anywhere in the Lehigh Valley, PA? Have you broke or lost the key to your house, and no one is close to come to your help with a spare key? It can well be depressing when you realize that you’ve accidentally locked yourself out of your car, home, or business, nevertheless when you know who to call for help. LockTech24/7 isyour local locksmith company for emergency lock out assistance, proud to provide you with a variety of emergency lock out solution to help you to live more comfortably and efficiently. In any kind of situation, whether you’re locked your keys inside your apartment, or perhaps your key broke inside the lock, don’t panic, simply call LockTech24/7 and one of our skilled locksmith technicians will come immediately for help.. If you find yourself locked out of your office, during your working day, we are the company to call in the city of Bethlehem.! Commercial lockout incident, sometimes, are not an easy task. Some businesses have high security, or high-tech biometric lock. We can carefully unlock any type of access control in order to allow you entry. If you forgot your key inside the office, we can pick the lock to let you entry.. If you break your key in the cylinder, we can remove the key. We specializes in all emergency lockout scenario, which can be handled immediately. Our phone number is (484) 282-0211, so if you have been locked out of your business, recently, please program our phone number to your phone for fast service and short waiting time in the future. We are helping many other customers like you, and that’s why we operate 24 hours a day, 7 days a week, and have good reputation. A broken key, in an unexpected scenario that can happen in our life. When it happens, it can be a very stressful, especially if we are rash to work, early in the morning. When this happens, don’t hesitate to call LockTech24/7 to extract the broken key, we have all the special tool kits to tray and extract it without damaging the lock. Avoid trying to do it on your own. Most of the times it useless, and you only ends up with a bigger problem, instead sdaving money, you actually causing yourself to pay more to solve a bigger issue. When the lock or the mechanism are broken and doesn’t work properly, it very hard and annoying to lock and unlock the door, especially if it is a main door of your house, You can be assure and you can count on LockTech24/7 to solve your broken lock problem, to help you out back on your routine! We can travel anywhere within the Lehigh Valley with our mobile locksmith shop, 24/7 around the clock, for a complete emergency assistance. You don’t have to struggle with your door anymore. We’ll fix the issues right away, so you never have any problem locking or unlocking the door. We repair various model of locks and mechanisms.